Does this often happen to you that you get your hair styled by a professional and the very next day you have to wash your hair because your scalp turned into an oily mess? If this happens to you all the time, then you probably have an oily scalp. Having an oily scalp is more of a curse than a boon. The worst part about having an oily scalp is that you have to wash your hair every other day even when you are way too tired in the morning and want to spend some extra minutes in the bed. If you are like me and dealing with “oily scalp blues” then let me introduce you to our saviour- dry shampoo. If you are clueless about this product, then let me enlighten you. Dry shampoo is a powder like substance which usually comes in a spray form and is used to get rid of an oily scalp without washing it. 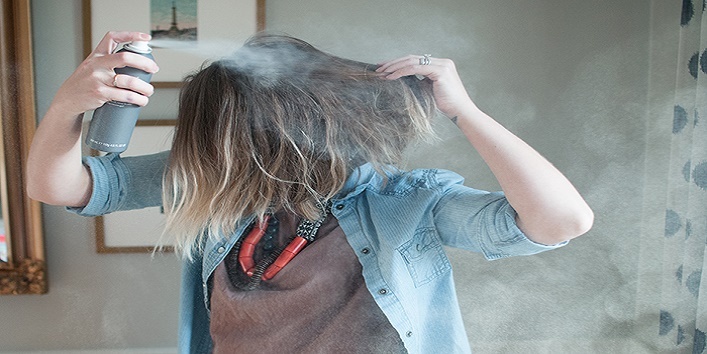 Now that you have a rough idea of what a dry shampoo is, let’s get to know about it a little more. 1. Unlike the regular shampoos, the dry shampoo is used on dry hair only. Never try to apply it to wet hair or else your hair will turn out to be a big mess, which is obviously not something you want. 2. 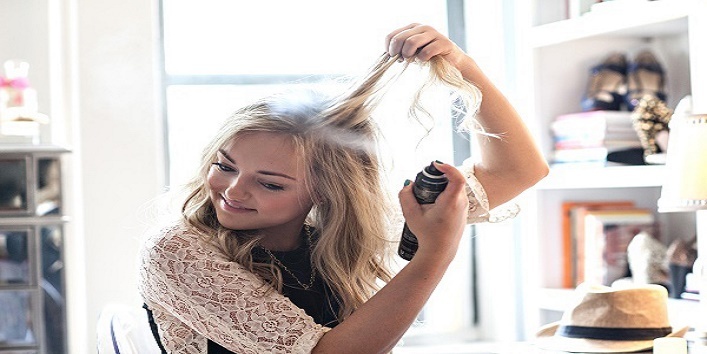 To provide an even application the dry shampoo should be sprayed onto the hair from a distance. This step very important when using an aerosol dry shampoo. Spray the dry shampoo onto the scalp from about 6 inches. If you spray the dry shampoo from a very close distance, then the shampoo will just clump at one place and won’t get dispersed. Also Read: Should Your Shampoo And Conditioner Be Of The Same Brand? 3. Most of the dry shampoos available in the market are white in colour. So, do not freak out if at first, your hair appears all white and chalky. Allow the product to sit on your hair for a few minutes before you start styling them. As you comb the product through your hair the chalkiness will eventually fade away. 4. Do not add in a lot of product in just one go. Start by spraying where you see the oiliness. Go through your hair and see if you have missed a spot. Then go ahead and spray some on that missed spot as well. If you have accidentally added too much product then just apply a little bit of a hair serum and brush it through. 5. 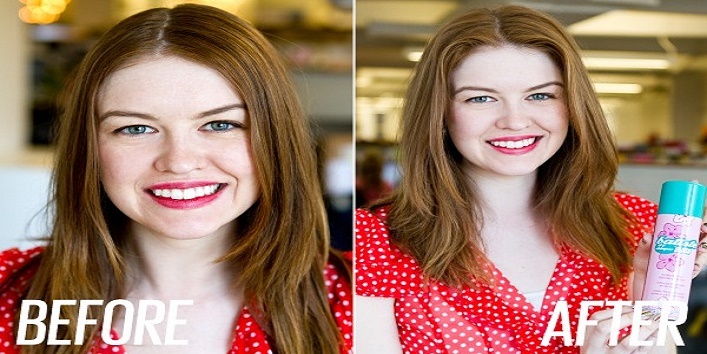 Once you have applied the dry shampoo and styled your hair, stop touching them too often. The oils from your hair may make your just styled hair oily again. 6. Never spray the dry shampoo on top of your head. The correct way to apply dry shampoo to your hair is by lifting random sections of hair and then spraying the dry shampoo underneath the hair section. This will get rid of the oiliness as well as add volume to the hair as well. 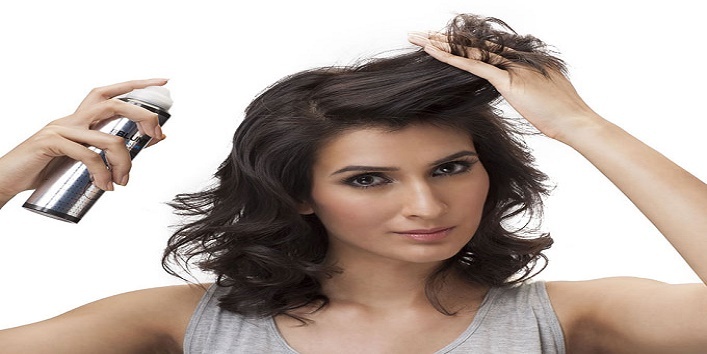 Also Read: 5 Lesser-Known Facts About Anti-Dandruff Shampoos!